Agave Syrup also called Agave Nectar, is a syrup that can contain up to 92% fructose. It is produced from the Agave plant. Agave grows well in Mexico and resembles a cactus but is actually a succulent. Sap is extracted from the plant, which is high in carbohydrate, glucose and inulin, this is then converted into the syrup using enzymes. 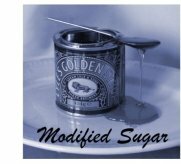 It was once thought of as a healthy sweetener and a good alternative to ordinary sugar. Recent studies, however, have shown it to be far more detrimental to health than ordinary sugar. The main reason for this is because it contains a very high proportion of fructose. There are many types of Agave plant, the best known and purest is Blue Agave. However not all syrup is produced from this plant, cheaper but more toxic varieties are frequently used. Because it is mostly fructose, it can be used anywhere that sugar is used. It is a syrup so it cannot be used as a table top sweetener in a bowl. However, it is otherwise very versatile, does not break down under heat and tastes great. Although it is supposed to have a low glycemic index it would not be recommended for diabetics, except in very small amounts. Like sugar it is harmful to teeth and contains calories. It is not suitable for diabetics. Of much greater concern however, is the fructose content of the syrup. It can vary from 55% to 92% depending on the source. Fructose is metabolized by the liver. Large quantities of refined fructose put a strain on this organ and can lead to a whole host of problems including metabolic syndrome. Fructose consumption does not cause an insulin response, as other types of sugars would. This may have a profound effect on appetite and may lead to overeating. Agave has been delisted and banned by the Glycemic Research Institute of Washington DC because serious side effects were observed in clinical trials. An article by the Weston A Price Foundation suggests that it could more accurately be labeled 'hydrolyzed inulin syrup'. The article goes on to state that it is produced through a complicated chemical refining process of enzymatic digestion, and that it is best avoided. They also refer to corruption in the Agave business, and cite occurrences of the syrup having been found to have been adulterated with high fructose corn syrup. Although no upper limit is set it would be sensible to limit consumption of fructose to 25g per day. In the case of Agave Syrup this would be no more than 6 small teaspoons per day. The highest quality product is made from sap that is harvested from the core of the plant. However, it appears that much of what is commercially available is produced from starch from the giant root bulb. This consists of carbohydrates (about 50% inulin and 50% starch) and is not very sweet. This extract is then filtered, heated and subjected to hydrolysis, often using genetically modified enzymes, to convert most of the carbohydrate into fructose. The process can use caustic acids, clarifiers and filtration chemicals to produce a highly refined product, devoid of almost all nutrients. In fact it resembles the the conversion of corn starch into high fructose corn syrup. In some cases the enzymes used are derived from genetically modified sources, and yet presented as a natural product. Worryingly shipments of Agave from Mexico have, in some cases, been found to contain excessive pesticide residues and saponins which can be toxic. Agave Nectar, Raw Agave Nectar. It is expensive. On the bulk market it is about 3 times the price of sugar for the same unit of sweetness. On Amazon it is about $12 for a 36 oz bottle or little over a litre. It has a tiny market share globally, probably about the same as maple syrup and about 0.05% of the total sweetener market. It has been steadily growing, though the truth about it's status as a healthy alternative is putting a dampener on potential sales growth. For hundreds of years the natives of Mexico used a form of Agave Syrup that was not altered by enzymes, and did not contain the high fructose content. This would probably have been healthy enough if consumed in moderate quantities. It was also fermented to make an alcoholic drink called Pulque. This milky colored drink is still popular today. Tequila is also made from Agave. Avoid Agave Syrup. It is not healthy or natural. It is very high in refined Fructose and is a synthetic product devoid of all nutrient. Even if the suppliers claim to use a natural enzyme the final result is the same - up to 92% Fructose. And fructose has been linked to a host of problems including obesity, metabolic syndrome, deposits of fat on the belly, gout, high blood pressure and heart disease. You just don't want it in your diet! In addition questions have been raised about poor quality control standards. Toxins, pesticides and even high fructose corn syrup have been found in Agave for sale.